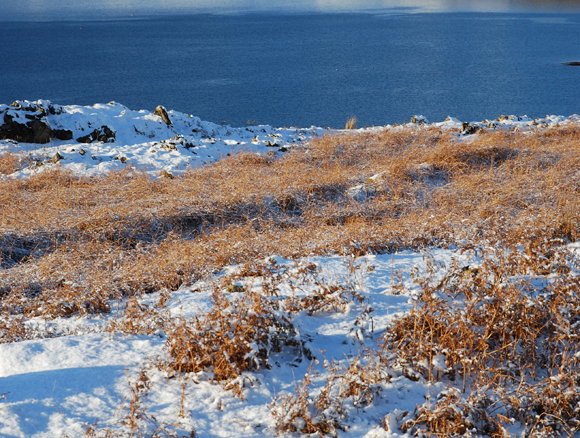 Fearann Eilean Iarmain covers some 23,000 acres in the beautiful southern part of Skye. 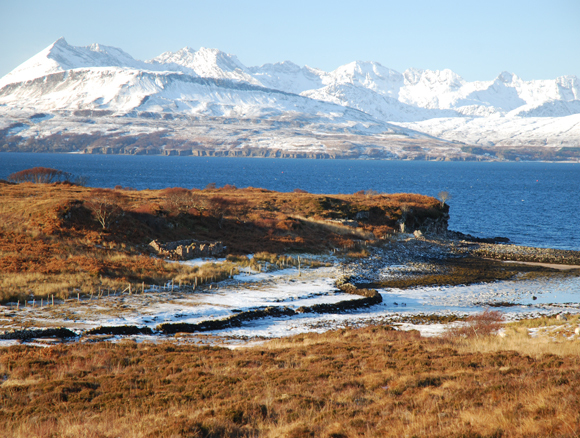 There are magnificent views east across the Sound of Sleat to the hills of Knoydart, and west towards the dramatic skyline of the famous Cuillins range. The woodlands provide an excellent habitat for woodcock. Woodcock One of the principal attractions is woodcock, offering capital shooting when there is a fall. Walked up days of woodcock shooting are available during November to January. Rough Shooting Walked up rough shooting is available throughout the season, with a chance to see grouse, woodcock, snipe, mallard and teal. Stalking Red deer stalking is available during the season. Views over hills, sea and lochs can make for a memorable day. There is also roe deer stalking in estate woodland. Fishing Fishing for wild brown trout is available on a number of hill lochs with the chance of an occasional Arctic Char. Two small spate rivers offer sea trout fishing. One of the principal attractions is woodcock, offering capital shooting when there is a fall. Walked up days of woodcock shooting are available during November to January. Walked up rough shooting is available throughout the season, with a chance to see grouse, woodcock, snipe, mallard and teal. Red deer stalking is available during the season. Views over hills, sea and lochs can make for a memorable day. There is also roe deer stalking in estate woodland. Fishing for wild brown trout is available on a number of hill lochs with the chance of an occasional Arctic Char. Two small spate rivers offer sea trout fishing. 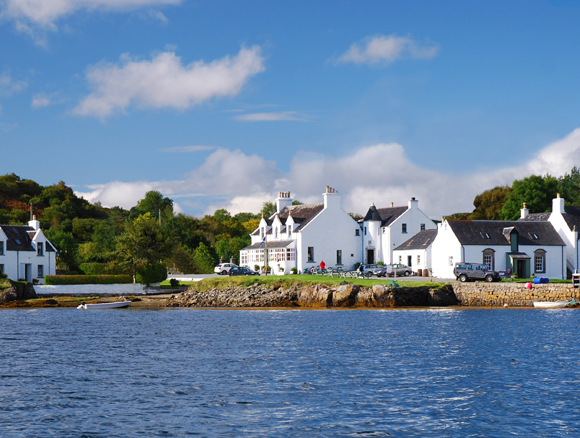 Hotel Eilean Iarmain, is renowned for its atmosphere and is open for shooting guests throughout the year. 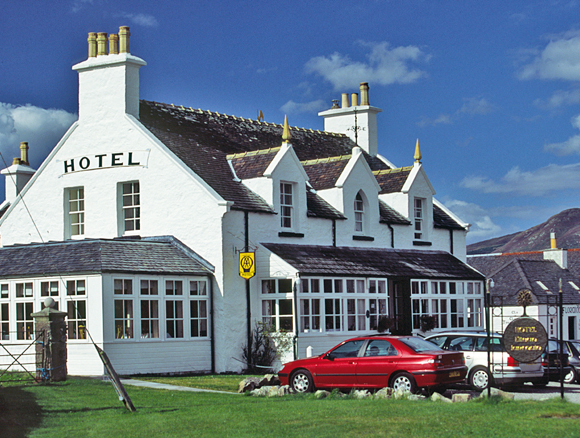 Set in a stunning position the hotel, built in 1888, overlooks its own small harbour, with views over Isle Ornsay to the mountains of Knoydart. There are 12 charming double bedrooms and four well appointed suites. 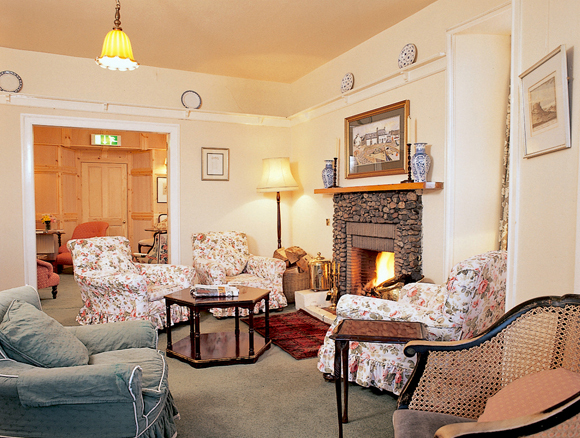 Candlelit dinners are enjoyed in the wood-panelled restaurant, and drams by the log fire in the sitting room. The Gaelic Whiskies and traditional music enhance the cosy wood-lined bar, with an open fire adding to the warmth and character. There is self catering accommodation in a traditional stone cottage and a beautifully restored 18th century farmhouse both with views over the sea, and each accommodating 6. Well behaved dogs are welcome.